Retail Tower - Feeds for shopping engines and marketplaces. 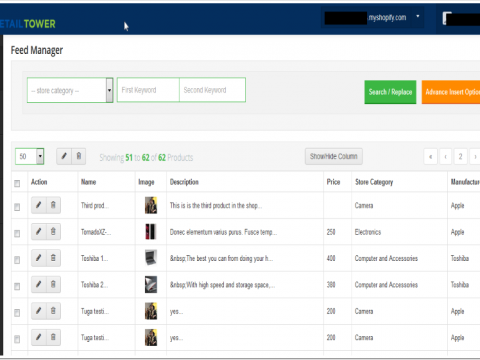 Seamlessly import inventory from your store to RetailTower. An easy way to list your products on comparison shopping engines; Google, Amazon Marketplace, Bing, Myshopping.co.au, Shopzilla, Pricegrabber, & 10 more! Create custom feeds for most shopping engines. "Sales on the two biggest marketplaces—Amazon and eBay—accounted for 29.1% of U.S. online retail sales in 2015." 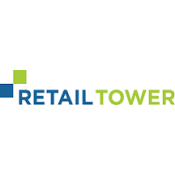 RetailTower provides seamless integration between your store and shopping comparison engines. We automate shopping feed submission to the popular shopping engines such as Google, Amazon Seller, Bing, Shopzilla, Pricegrabber, Myshopping.co.au etc. Selling on these popular channels will increase your store’s online reach and help drive sales. 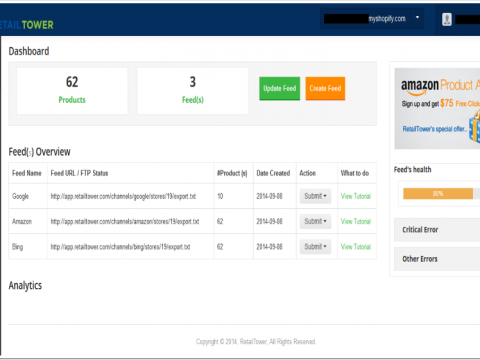 Optimize you shopping data feeds for all shopping engines. 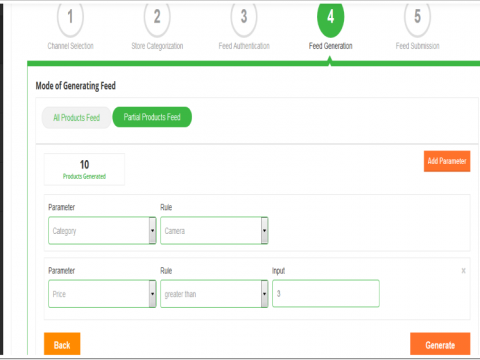 RetailTower automates datafeeds processes and allows you to focus on your online store. We also work closely with you to make sure you get the maximum gains from listing on every comparison engine and marketplace. Install now and list your products where shoppers are shopping!